One of my favorite parts of being a blogger is seeing new products that I would otherwise maybe miss in the grocery isle. Outer Spice is one of them. 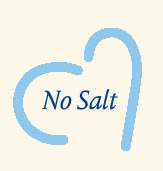 We have always cooked no salt in my home, my Dad had heart problems and now my Mom is dealing with heart issues as well, so nothing with salt for us. I really love to cook with spices, it flavors things so much better than salt, and often enhances your dish. If you cook with fresh ingredients and herbs, your food will taste so good, no salt is needed! Outer Spice Low Salt and No Salt seasoning blends are made from the finest, quality ingredients that we hand select ourselves, from around the world. We combine fresh herbs and spices in small artisan batches to create the most versatile combination of flavors. Our products are all-natural, Gluten- free, rich in ant-oxidants and have no MSG. Fairer than Fair Trade. We partner with farmers and suppliers to assure fair trade and good profit margins for each family or person we do business with. Outer Spice Original - No Salt: A combination of freshly ground herbs and spices to boost the flavor of any dish without the sodium. This is a great addition to diets requiring less sodium and really helps bring foods to life without the use of salt. Ingredients: Garlic, black pepper, onion, allspice, scallions, dill, nutmeg, thyme, lemon thyme, cilantro, basil, peppers, cinnamon, caraway and other spices. Outer Spice Spicy – No Salt: A zesty flavor profile that is a great addition to diets requiring less sodium but desiring just a little more zing. Ingredients: Garlic, black pepper, onion, allspice, thyme, lemon thyme, basil, scallions, red pepper, peppers, dill, caraway, cayenne pepper, nutmeg and other spices. 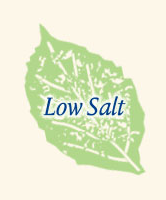 Outer Spice Low Salt - Our Outer Spice ORIGINAL is high in flavor and low in Sodium. Sprinkle on eggs, salads, pastas and veggies. Rub on fish, chicken, beef and pork. Create marinades, dressings and dips. Ingredients: Himala ™ brand pink sea salt, garlic, black pepper, onion, allspice, nutmeg, thyme, scallions, red pepper, onion powder, peppers, cinnamon, dill, caraway and spices. Outer Spice Low Salt Spicy - Our Outer Spice SPICY is designed to give any dish a little bit of kick without being too hot or eclipsing foods natural flavors. Outer Spice Spicy is high in flavor and low in Sodium. Enjoy the same great taste and versatility found in our original Outer Spice with just a little extra ZING! Great for BBQ lovers. Sprinkle on eggs, salads, pastas and veggies. Rub on fish, chicken, beef and pork. Create marinades, dressings and dips. Ingredients: Himala ™ brand pink sea salt, garlic, black pepper, onion, allspice, nutmeg, thyme, scallions, red pepper, onion powder, peppers, cinnamon, dill, caraway, cayenne pepper and spices. Sprinkle it on pasta, salad, sandwiches, or veggies! I have been on a mini quiche kick since my lovely co-worker told me about making them. So I made some on the weekend for me and Mom, she was excited as something new for breakfast! I used shiitake mushrooms, spinach, carrots, green onions and some Outer Spice for a few minutes in a fry pan. When I opened the spice jar, it smelled so amazing! You can tell it is very fresh, and is going to season my quiche very well. I also added it to our chicken salad too! 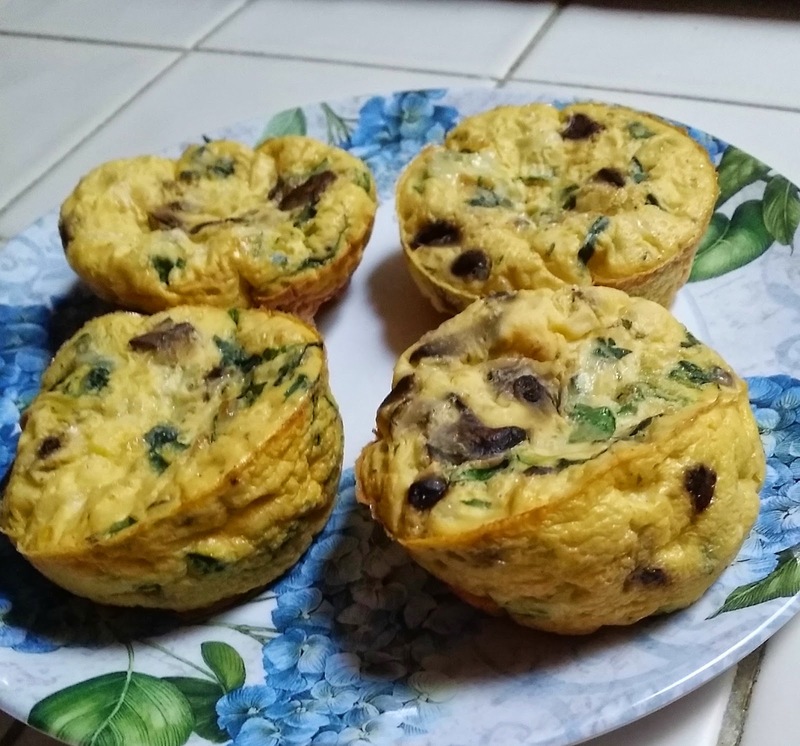 I used egg beaters, low salt swiss cheese and cottage cheese for this recipe. It was from Taste of Home and you can find that HERE if you want to try them. 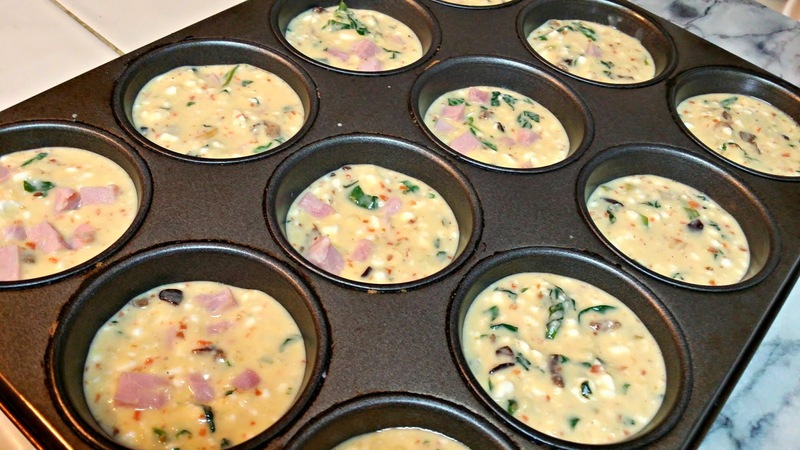 Be sure to spray your muffin pan, I forgot and had such an issue getting them out! The finished product was so yummy! I will be making these very often now, as I can take them to work for breakfast too! 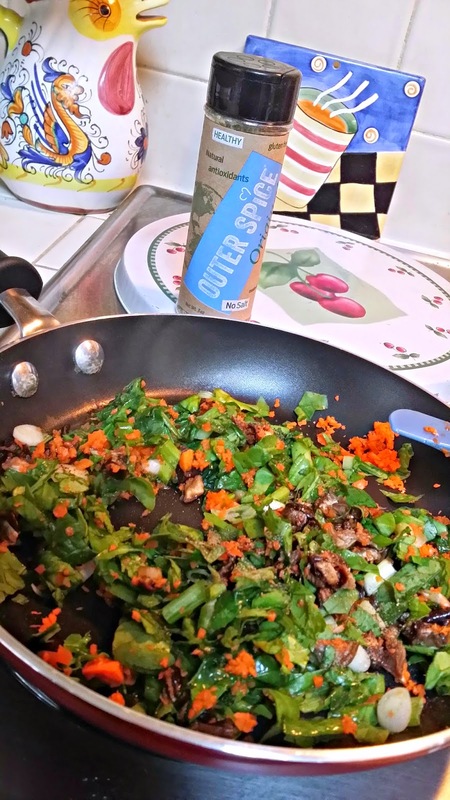 The Outer Spice blends work great when you are making your own dishes in a healthy way, and sometimes those recipes can be bland. This spice will make everything you create taste amazing. Outer Spice seasonings are available at select Whole Foods stores and online for $6.99 per jar. I feel their price is pretty great for fresh seasoning as so many mixes are quite costly. 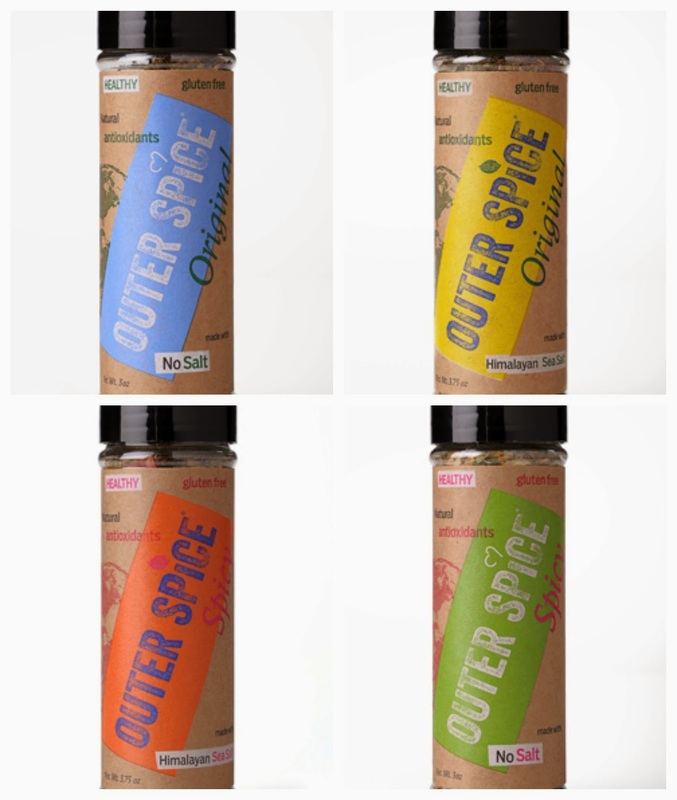 Flat rate shipping is available to anywhere in the continental U.S.
To kick-off the launch of Outer Spice, we are offering shoppers a 20% discount with the coupon code OS20 at http://outerspiceit.com. PLEASE LEAVE A COMMENT TO ENTER THE GIVEAWAY AS OUTER SPICE WILL SEND YOU A SET OF YOUR CHOICE OF SPICES! THERE WILL BE ONE WINNER CHOSEN AT RANDOM FOR THE GIVEAWAY WHICH ENDS ON SEPTEMBER SEPTEMBER 5, 2014. Disclaimer: I received 2 jars of the Outer Spice blend for this review. No monetary compensation was received for this post. All opinions expressed are mine.